Supplements don’t serve as replacements for a healthy well-balanced diet. However, this doesn’t mean we don’t need them from time to time. Majority of my years were spent eating unhealthy foods and popping a supplement for peace of mind (which I now know is completely counterintuitive). As part of our lifestyle renovation the goal is to obtain majority of our essential nutrients from diet alone. Despite a healthy lifestyle my diet requires the addition of supplements while I am repairing my body from years of poor nutrition and preparing my body for years filled with future pregnancy/postpartum cycles. 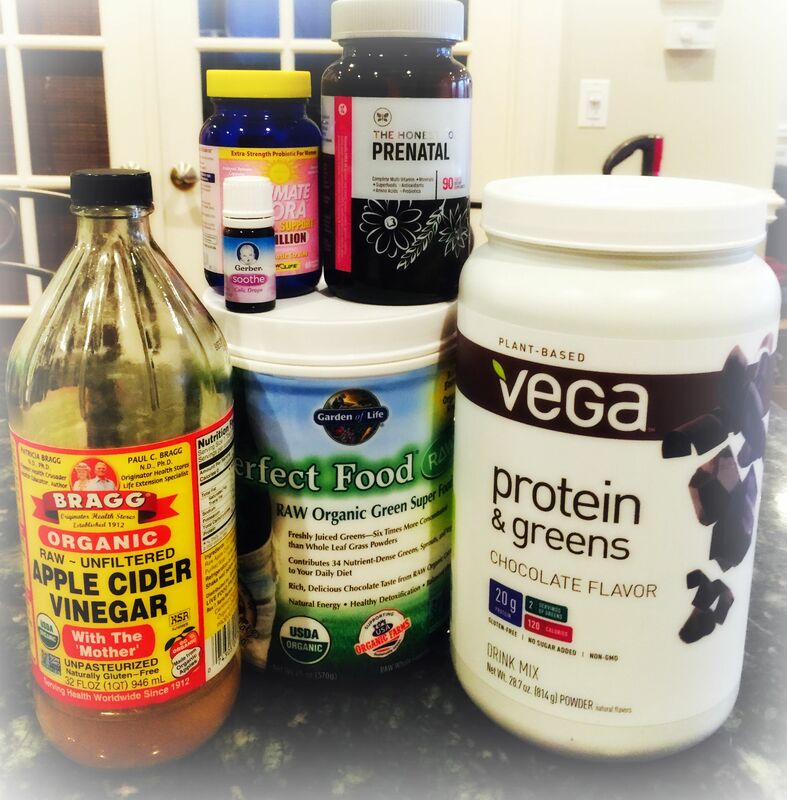 I started an ACV (apple cider vinegar) regime about four months ago for its detoxifying benefits when my husband and I decided to focus on healthy living. Years of an unhealthy lifestyle contributed to an excess sugar buildup, unbalanced pH level, and candida. The ACV helps clean up this internal mess. I also started incorporating a protein and veggie supplemental shake in the morning since I struggle with low energy. Additionally, I have difficulty obtaining the amount of protein and veggies I need with breakfast while caring for my son. The first supplement my family and I started was probiotics due to their bounteous benefits, including a stronger immune system. We have our five month old on probiotics (Gerber Soothe Probiotic Drops) because I believe strongly in the importance of this supplement. Supplements are expensive. If you can only budget one, go with the probiotic (other than a prenatal if pregnant or breastfeeding since that is vital). Below I’ve listed the supplements my husband and I take daily, the dose, as well as the known health benefits. It’s argued some of these benefits haven’t been studied enough to be considered scientifically proven but there is no downside in trying (as long as you research your supplement’s ingredients and have the MD’s OK)! I am as diligent with supplement ingredients as I am with the foods I eat. Don’t assume your supplements have non-toxic ingredients or that trace ingredients don’t have a negative impact. No matter what supplements you chose, always read the ingredients, you’d be amazed what some companies put in supplements! Happy supplementing!